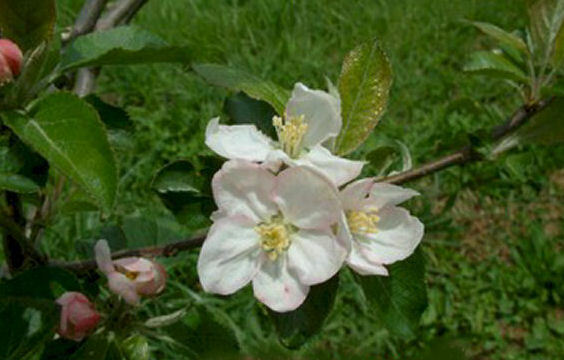 The origin of this mid-summer apple is a bit unclear and is often confused with Buncombe, a large red apple which originated in North Carolina. A wonderful apple for frying or applesauce. 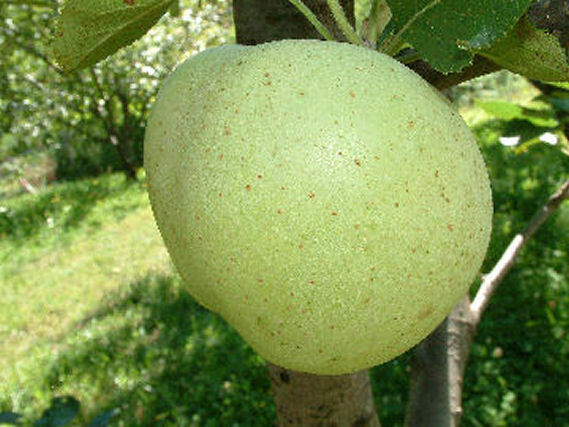 Fruit is large and blocky with uneven ribs. Smooth greenish-yellow skin covered with brownish dots. Fine flavor but tends to drop from the tree prematurely. Flesh yellowish, firm, juicy and sweet. Ripens August to September.